Previously unreleased internal Obama administration emails show that a coordinated effort was made in the days following the Benghazi terror attacks to portray the incident as “rooted in [an] Internet video, and not [in] a broader failure or policy.” Emails sent by senior White House adviser Ben Rhodes to other top administration officials reveal an effort to insulate President Barack Obama from the attacks that killed four Americans. Rhodes sent this email to top White House officials such as David Plouffe and Jay Carney just a day before National Security Adviser Susan Rice made her infamous Sunday news show appearances to discuss the attack. The “goal,” according to these emails, was “to underscore that these protests are rooted in an Internet video, and not a broader failure or policy.” Rice came under fierce criticism following her appearances on television after she adhered to these talking points and blamed the attack on a little-watched Internet video. The newly released internal White House e-mails show that Rice’s orders came from top Obama administration communications officials. (a) The United States was not doing everything in its power to protect its people and facilities abroad. Not in Benghazi, and not elsewhere. (b) The 9/11 attacks were not rooted in an "internet video." The clip he's referencing made something of a splash in the Middle East, but the State Department's second in command on the ground in Libya called it a "non event" vis-a-vis the Benghazi raid. The US government, including Sec. Clinton and CIA Director Petraeus, knew the attack was a coordinated terrorist action almost immediately. (c) The administration has not been "resolute" in bringing the perpetrators to justice. More than a year-and-a-half has passed since the lethal event. Zero people have been held responsible, neither in Washington nor Northern Africa. The memo also makes clear the White House was determined to deflect any criticism involving a "failure of [administration] policy." What sort of failure? Take your pick. How about fueling a war in Libya with no apparent strategy to handle the resulting power vacuum? Or rejecting repeated requests for an enhanced security presence in a city from which much of the West had withdrawn, due to growing jihadi dominance? Or renewing a lease on our compound with a waiver for substandard security after it had faced several attempted attacks? Perhaps it was the lack of preparation for the contingency of a terrorist attack on the anniversary of 9/11, which resulted in hours of paralysis while American lives hung in the balance. Rhodes and company wanted to insulate the president from those glaring policy failures, so they doctored up some deceptive talking points. As for the Susan Rice email, her staff obviously understood the true nature of the attack, which she would later tell the American people was "spontaneous." It wasn't. It was a deliberate, orchestrated, al Qaeda-linked act of terrorism. 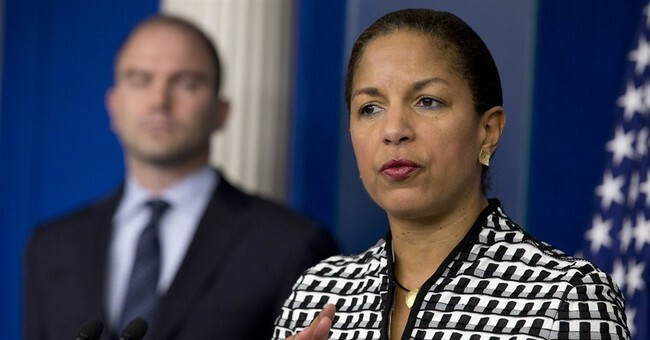 It's always seemed inconceivable that Rice wouldn't have been privy to those facts prior to her public statements. The newly-disclosed emails appear to confirm those suspicions. There can now be no remaining doubt: The administration's public response to the Benghazi attack was tainted by political considerations and deprived the American people of the truth.